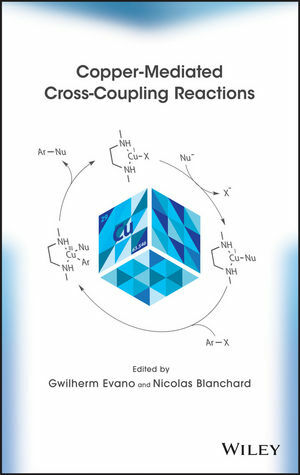 Providing comprehensive insight into the use of copper in cross-coupling reactions, Copper-Mediated Cross-Coupling Reactions provides a complete up-to-date collection of the available reactions and catalytic systems for the formation of carbon-heteroatom and carbon-carbon bonds. This essential reference covers a broad scope of copper-mediated reactions, their variations, key advances, improvements, and an array of academic and industrial applications that have revolutionized the field of organic synthesis. The text also discusses the mechanism of these transformations, the use of copper as cost-efficient alternative to palladium, as well as recently developed methods for conducting copper-mediated reactions with supported catalysts. GWILHERM EVANO is a Professor at the Université Libre de Bruxelles and the Co-Director of the Laboratory of Organic Chemistry. Prof. Evano's research focuses on the development of copper-mediated transformations, chemistry of ynamides and other hetero-substituted alkynes, and total synthesis of natural products. NICOLAS BLANCHARD is Research Director at the French National Center for Scientific Research at the University of Strasbourg. Dr. Blanchard's research interests focus on the synthesis of biologically relevant compounds using metal-mediated transformations.